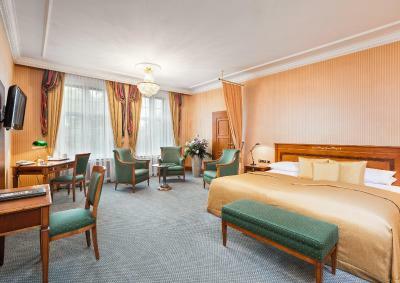 Lock in a great price for Best Western Premier Grand Hotel Russischer Hof – rated 8.9 by recent guests! 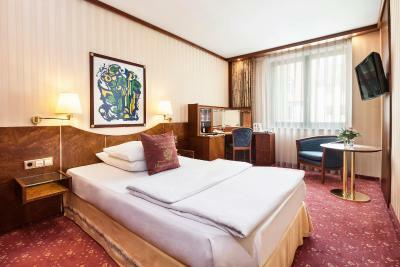 Nice historic room with comfortable bed. Big enough room and bathroom. 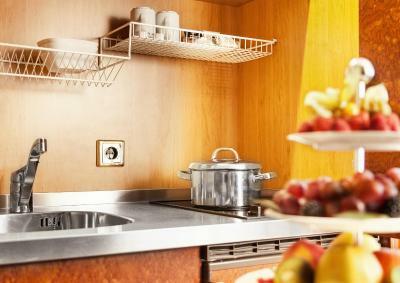 Wonderful ambiance, convenient location, clean, comfortable and quiet room with many amenities. Pleasant and helpful staff especially Sindy. Great suggestions for restaurants. and transportation. Warm and welcoming main lobby. Type of lighting everywhere was wonderful. Good access to local information with newspapers and brochures. Room decor lovely. Bathroom well lighted with comfortable bath and shower. Excellent price per night. THANK YOU! The hotel exceeded my highest expectations in every sense and on every level from location to cleanness and staff helpfulness. The property is located within a small walking distance to nearly all sight-seeing points and buildings Inviting entrance hall and staff friendly Bar und Cafe . 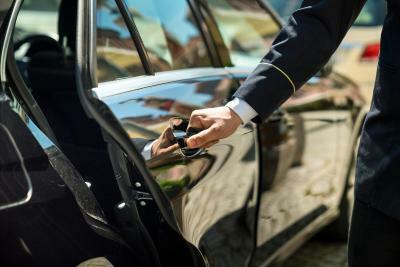 Very professional and helpfull staff, the exclusive rooms are really nice for a business trip. Everything functioned in a perfect way. Our room was very nice and the beds< very comfortable. Bathroom was spacy , breakfast was excellent and the breakfast rooms were just beautiful. We will definitely be back.Our trip was half business and half leisure. It was easy to reach all things there are to see direct from the hotel. Big rooms compared to Germany standards. 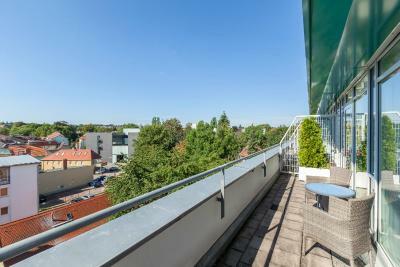 Close to the city center. A very comfortable stay. 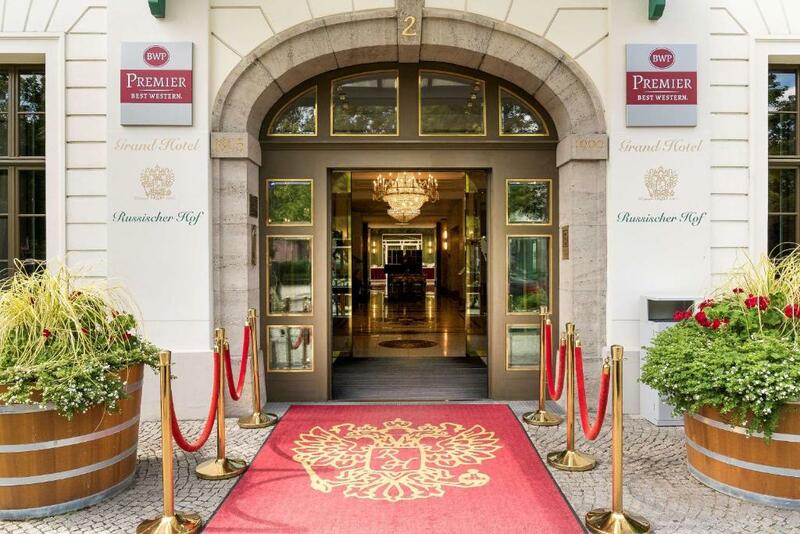 Best Western Premier Grand Hotel Russischer Hof This rating is a reflection of how the property compares to the industry standard when it comes to price, facilities and services available. It's based on a self-evaluation by the property. Use this rating to help choose your stay! Centrally located on Goetheplatz Square, this historic, 4-star-superior hotel in the UNESCO city of Weimar offers modern spa facilities and concierge service. 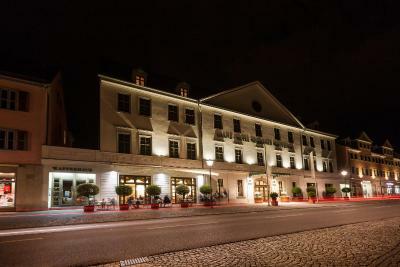 The Best Western Premier Grand Hotel Russischer Hof is more than 200 years old. 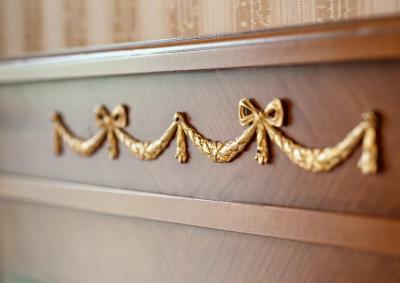 Guests have included Czar Alexander I of Russia and Goethe. 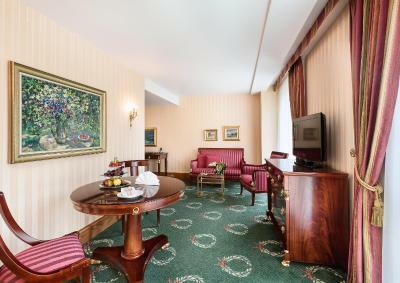 The air-conditioned rooms and suites at the Russischer Hof are decorated in a modern or classic style. All feature satellite TV, a seating area, and a mini-bar. Wi-Fi is free. 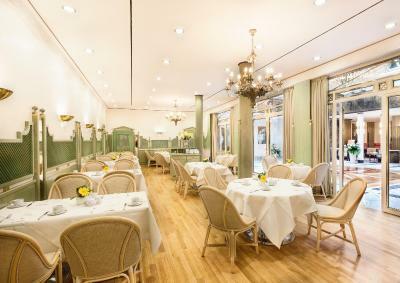 Fine international food is served in the Russischer Hof's Anastasia restaurant. The coffee house serves the homemade Maria Pawlowna cake on the summer terrace. Other facilities include the Romanow bar and Rasputin cellar bar. 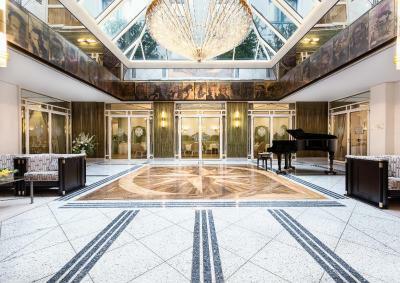 Spa facilities at the Russischer Hof include a sauna and steam room. Guests can also keep fit in the modern gym or book beauty treatments. 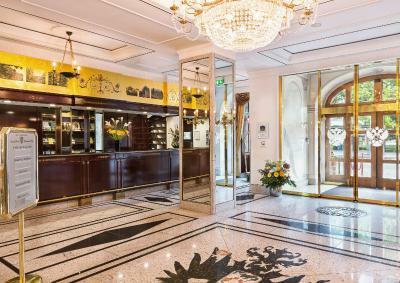 The Russischer Hof Best Western's reception is open 24 hours a day. On-site parking is available on request. 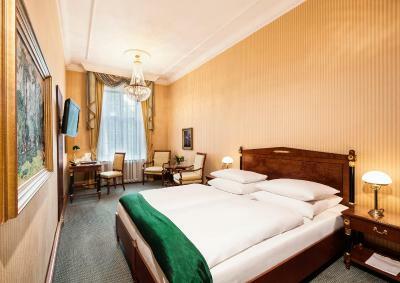 When would you like to stay at Best Western Premier Grand Hotel Russischer Hof? 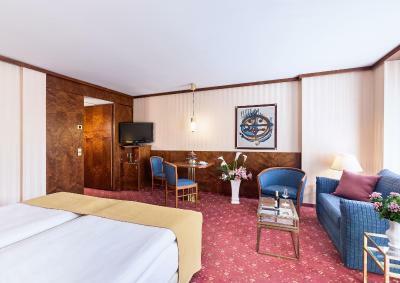 This twin room features a bathrobe, air conditioning and soundproofing. This triple room has air conditioning, mini-bar and stovetop. This triple room features a tea/coffee maker, mini-bar and electric kettle. 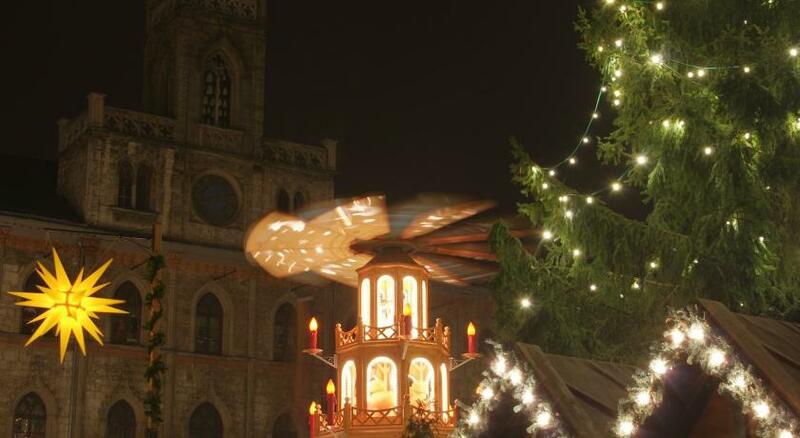 The hotel is centrally located within walking distance of almost all sights. 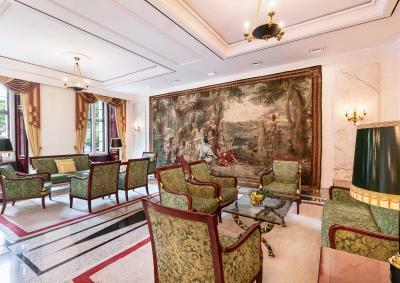 The high-class historical rooms offer guests a direct view of the Old Town. 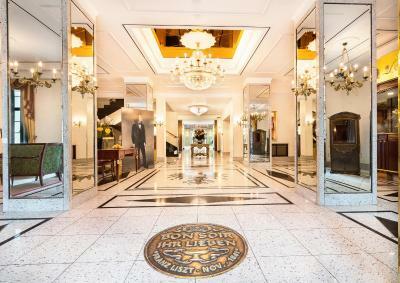 House Rules Best Western Premier Grand Hotel Russischer Hof takes special requests – add in the next step! 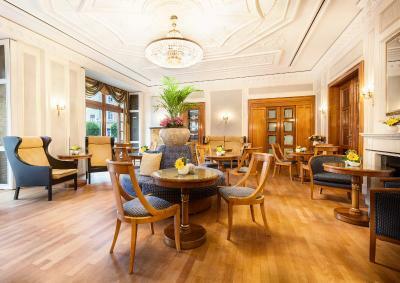 Best Western Premier Grand Hotel Russischer Hof accepts these cards and reserves the right to temporarily hold an amount prior to arrival. The only flaws were a bit waiting for coffee at the brekfast and 15 min checkout line, which looked not to be the usual case though. The heating did not function as well as all other things but it was OK.
Breakfast is quite expensive. but then there are good bakeries around. 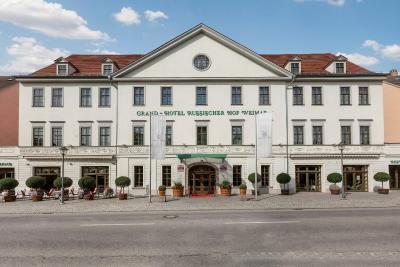 Great hotel for a city escape in the middle of Weimar. Room was huge for european standards with two little sofas. 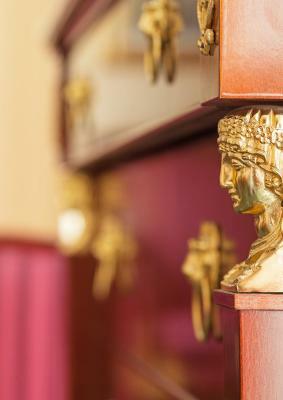 You can feel the splendor of long gone era of Grand Hotels. Definitly a recommendation. The city centre location was ideal for our stay. Room cooling and ventilation poor - very stuffy with bad controls. 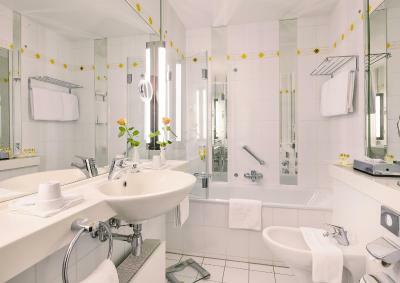 Poor housekeeping, tea tray cups not washed, tea and milk supplies not replaced, bathroom toiletries not replaced. Front desk - Hotel was inflexible about cancelling the last night of a three night booking (despite 30 hours notice) and charged full 3 nights when they could easily have been flexible. The location , breakfast and facilities. 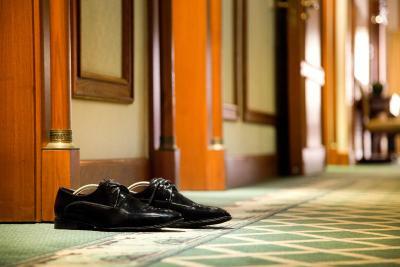 The hotel is right in the heart of the city and within walking distance from all major attractions. The rooms are small but very cozy. Probably the best breakfast i have ever had. our first day of stay was in room 423, under ceiling, no oxygen, very dark, very warm, extremely uncomfortable, we had a bad day the day after, the washing room in this room was also out of order, something was wrong with it, anyway I told the staff the next day if they want to give us the same room, I will cancel and give a negative point, but the second day was nice, I also told the staff that this room cannot be really booked anymore, please take attention! Parking costs should be reduced as 25.00 euro per day adds up if you stay for a longer than one day stay. 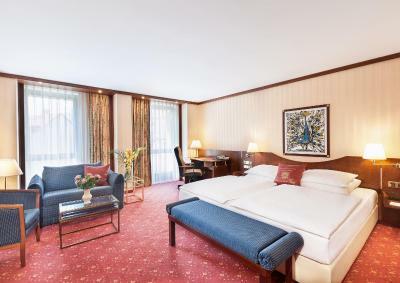 This is one of the premium BW hotels in Germany. Everything is in top quality and the hotel location is absolutely phenomenal. Loved the breakfast even though the price is a bit on the high side, but the food quality and choices are second to none. Located right in town it was a pleasure to stay there despite the fact that we are not fans of luxury which this hotel has in spades. The valet parking was a bonus.